Welcome to “The Back & Neck Relief Clinic” of Seymour. I’m Dr. Troy D. Buckridge. I’m a 1989 graduate of Burnsville High School in Burnsville, MN. I attended Scott College in Bettendorf, IA where I studied Pre-Chiropractic. In February 1996, I graduated from Palmer University in Davenport, IA. I am a proud second generation Doctor of Chiropractic. 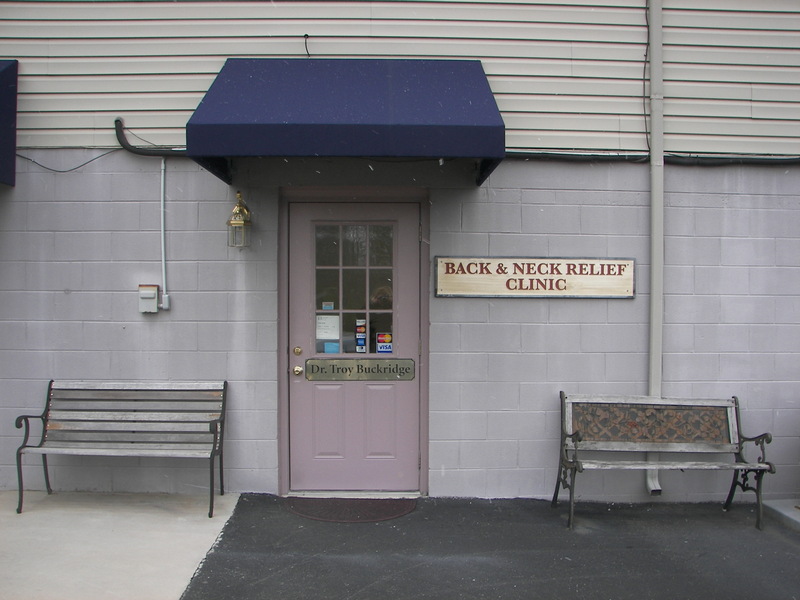 My Father Dr. Michael Buckridge opened The Back and Neck Relief Clinic in Morristown, TN in 1993. I was fortunate to work side-by-side with my Father in his clinic for 3 years before opening my office in Seymour, TN in Feb 1999. My goal is to provide you with the best Chiropractic care available at a price that’s affordable. We offer Electric Stim Therapy, Ice and Heat Therapy, ultra sound, massage and spinal manipulation all performed in a down-home relaxed atmosphere. We treat common conditions such as neck and back pain, sciatica, shoulder and elbow pain. After years of studying neurologic conditions, I also treat conditions such as dizziness, fibromyalgia.